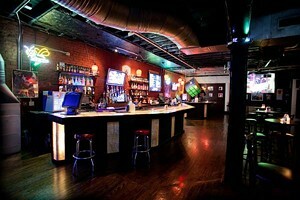 The Roxbury is the best place to go in Charlotte for the beloved and trendy theme party. Offering fixed décor and musical stylings from both the '80s and '90s, guests have two full decades of rad fashion and icons to choose from when planning their homage. Saved by the Bell, Bad '90s Advertisements and Late '90s Boy Bands are just a few hilarious and easily executed themes that would blend perfectly with the existing vibe at The Roxbury.